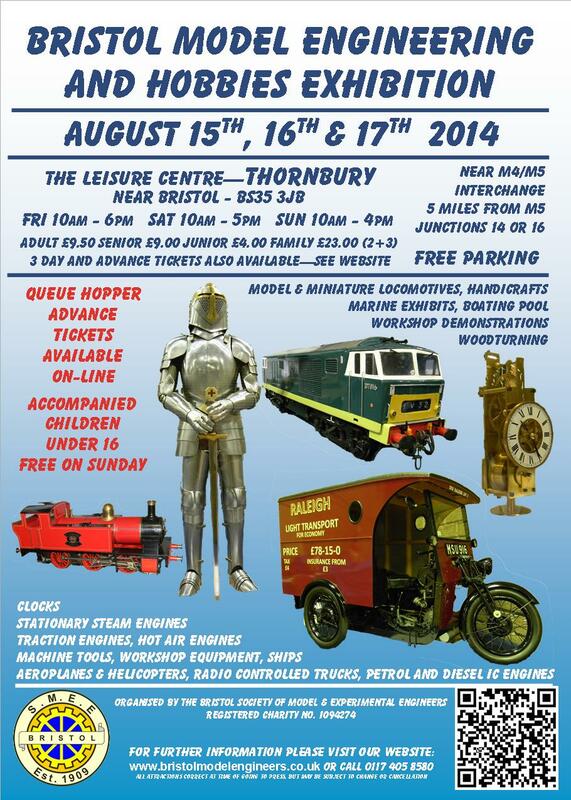 Friday to Sunday 15th to 17th August 2014 at Thornbury,- North of Bristol? The quote above and more conversation can be found by scrolling down the topic "Great REPRAP Day" elsewhere on this forum see [forums.reprap.org] ending with the current discussions on a meeting to be held soon to discuss what could be done. This looks like the perfect place to engage an enthusiastic audience. This is a repeat of the message on the 'Great REPRAP Day' thread. I am looking to get a printer, and will probably pop to the show so that I can have a chat with owners in the flesh. RepRapPro Ltd will be at the exhibition. We will be exhibiting our RepRap printers, along with a range of items we have printed to show off their capabilities. We also hope to have some of our research and development team on hand to show off what we have been working on recently. If you are going to be attending this year (2015) could you post something up? I may well be there with a radio controlled tank club (Bristol Armoured Division) and have just built a Smartrap, so it would be good to chat to people who have brains I can pick.